Copyright �2013 PopEntertainment.com. All rights reserved. Posted: December 8, 2013. Nick Lachey knows what it's like to be a young aspiring a cappella singer with his eye on stardom. That was him, once upon a time (well, okay, in the way, way back 1990s). He was originally a student at the Cincinnati School for Creative and Performing Arts. He also worked part-time as part of a barber shop quartet at the local amusement park King's Island (which itself gained pop culture status a couple of decades earlier for being the location of episodes of the classic TV series The Brady Bunch and The Partridge Family.) Together with his brother Drew and friends Justin Jeffre and Jeff Timmons, he formed the boy band 98 Degrees, of which Nick was lead singer. Television came calling soon after, as Lachey and his first wife, pop star Jessica Simpson, became pioneers in the now-burgeoning field of celebrity reality shows with their hit MTV series Newlyweds. It was always obvious, even back then, that Lachey was a bit more uncomfortable than his ex with the privacy invasion of having cameras watching your every move. While Lachey found television a fun and fascinating world, he decided in the future to stick to more structured, less immersive roles. Lachey started taking more and more acting roles, having a recurring role on the TV series Charmed and appearing on such shows as American Dreams, Hope & Faith and One Tree Hill. He also dipped a toe into TV hosting with the short-lived 2008 series Clash of the Choirs. The year later, he was offered the hosting gig on a new series called The Sing-Off, in which a cappella singers tried to impress celebrity judges, who over three seasons have included Shawn Stockman of Boyz II Men, Ben Folds, Nicole Scherzinger of Pussycat Dolls and Sara Bareilles. While the show has a lower profile than other singing contests like The Voice, American Idol and X-Factor, it does have a strong following. The third season winning vocal group, Pentatonix, has become a big touring and recording group since their win almost two years ago. On the same week that Pentatonix's latest disk roared up the charts, The Sing-Off is returning to the air after an extended break. This season the series will be running in a condensed rush, with episodes covering the whole season airing every day or two for a little over two weeks. This year Lachey and his 98 Degrees bandmates reunited after a ten-year break, releasing their first new album in over a decade, logically titled 2.0. The group also hit the road for a massive tour with fellow former boy bands New Kids on the Block and Boyz II Men. 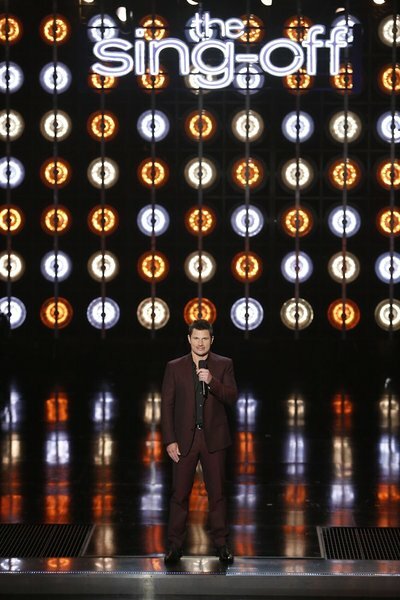 Right as he came off of the tour, it was back into the studio to film the fourth season of The Sing-Off, with Lachey, Folds and Stockman joined by new cast member and judge Jewel. 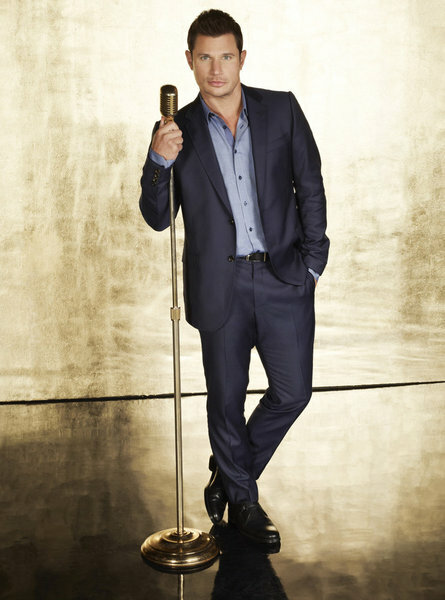 A couple of weeks before the fourth season premiere of The Sing-Off, we were one of a few media outlets who were able to chat with Lachey about the return of the show and his career. You just recently turned 40 and you�ve had such a great career. How have things changed for you, now that you have turned 40? (laughs) It hasn�t changed at all. It�s just a number, as they say. Everything feels the same. I feel the same. Life is the same. No groundbreaking moment happened at 40, other than the fact that the number changed. Everything else feels the same. Reflect on the idea of a cappella singing. When you were high school, when you won Clash of the Choirs with "Flight of the Bumble Bee." How did a cappella help you get a record deal in the first place? Yes. Well, as you alluded to, a cappella singing has meant a great deal to me throughout my life and career. It�s why the show is so special for me to be a part of. I first started singing a cappella in high school. I went to a performing arts school. [I] spent my summers working at an amusement part in Cincinnati called King�s Island. I was in a barbershop quartet. I started off singing a cappella barbershop music, walking around the park and singing to guests. Then [I] continued to sing a cappella with different groups, ultimately with 98 Degrees. When we put our demo together we put two different a cappella songs on the demo. In our audition for Motown records, Andre Harrell, the president at the time, asked us to sing a cappella in his office. We sang a Boyz II Men medley that we had worked up. That�s what convinced him to sign us. He signed us on the spot. That�s how we really got our start in the music business. So a cappella singing is very, very meaningful to me. A subplot of that is to be able to be on the show Shawn [Stockman] from Boyz II Men. Having sung a Boyz II Men medley to get signed to Motown, it�s just kind of a surreal moment for me to be a part of this show with Shawn. It�s given a lot to me. This is my way of giving back to the genre of a cappella. I think it takes incredible talent to do; incredible talent to pull off. Oftentimes people take it for granted. [They] don�t realize how hard it is to do, which is why I feel like The Sing-Off is so special. There are so many people out there that are responding to it. A cappella is going through a resurgence now; a renaissance, if you will. With all the attention that The Sing-Off has brought to it, and success like [season three winner turned recording artists] Pentatonix is having now. Their album just debuted in the top ten on the top 200. The success that they�ve brought to the genre. Movies like Pitch Perfect. I think there�s just such a passion right now out there for a cappella music. So [I'm] very proud to be a part of The Sing-Off. Very proud of Pentatonix and all the success that they�ve had. Also very proud to announce that they�re going to be performing on our season finale this year, on December 23. Obviously, we�re all very proud of them here at the show and all the success that they�ve had since winning season three, and very excited to have them back this season. You went back on the road with 98 Degrees this year. Was that fun and is it interesting to balance your musical and TV careers now? It was a lot of fun. First of all, to get back together with those guys after more than a decade off. [To] be able to go on the road with New Kids on the Block and Boyz II Men and be a part of a sold out arena tour was very, very special. A great way to come back and experience performing with those guys again. So, that was fantastic. To balance the two, obviously it�s all about scheduling. Shawn with Boyz II Men and I were both on the road as part of the package tour. Literally we finished our last concert in Indianapolis on August 4, and started The Sing-Off August 5. We went right from one into the other. When you�re doing stuff that you�re passionate about and it�s exciting to you, then it�s easy to rally and summon the energy to move from one to the other. I feel very honored and blessed to be able to do both. I know Shawn would say the same thing. It�s been a great year; an exciting year. The tour was great and now obviously very, very happy and proud to be a part of season four of The Sing-Off. Am I right that it skipped last year? You didn�t have a show in 2012? You are correct. Yes, last year the show was not on. First of all did it come as a surprise to you when it did come back in 2013? And second of all, it�s been in different forms. One year it was a long form and lasted 11 weeks. This time it�s going to be very quick and it�s going to be resolved with 15 days of viewing time. Which do you prefer? We were all very cautiously optimistic that the show would come back. It was put on the back burner there for a moment. I really have to give a lot of credit to the very passionate fans of the show for really petitioning and clamoring for it to come back. Obviously when we all got the call that it was coming back to the air, we were ecstatic. We all do the show because we love the genre of a cappella and love the show and really believe in it. So, for those of us � Ben [Folds], Shawn and I � who had been with the show from the beginning, it was a very, very welcome call to hear that we were coming back for season four. Personally, I think the show works great in the holiday season. We saw that in season two. It�s just such a feel-good show and feel-good music. It�s the time of year when families are really in the mood to sit down together and watch a great family show, and that�s frankly what The Sing-Off is. So personally I�m a fan of the holiday scheduling, which we have again this year. Also I�m very excited about [the fact that] you get all the shows in a short period of time. It keeps people�s interest really honed in on the groups and their favorite groups. Then you get the winner announced right there at the end of it. Personally, I think this schedule works great for the show, and excited NBC put it back there in the holiday season. A cappella is obviously big in your life. Is that something that you�re bringing into your home? Are you and [his second wife, TV hostess] Vanessa [Minnillo] singing to your little one now? Does he have a favorite song; anything like that? Well. music in general is big in our home. Obviously I�m a musician and my wife is a passionate lover of music, having worked at MTV for so many years. So there�s constantly music on in our house. Yes, we sing to Camden every time we put him down for a nap or put him down for the night. Yes, technically there is a little a cappella happening in our house every day. It�s usually in the lullaby form, but it is happening every day. Does he have a favorite lullaby? Well, I�d like to think it�s one of the ones I wrote for him. I did a lullaby record for him that came out this year called Father�s Lullaby. There�s a song on there called "Sleepy Eyes." That was one that I wrote while he was still in the womb. That�s the one I sing to him every day before he goes down. Whether he likes it or not, that�s really the only one he gets served up, so he has to like it. Now that the format is back to the holiday-condensed schedule, I remember that the first two seasons had a lot of Christmas carols or just holiday musical type numbers. Is that something that we can expect this season, and will you be participating again? There really was not too much of a holiday theme in terms of the music involved in the show. You might see a little bit of that in the finale, because I think that�s how it worked in years past as well. But for the most part these are songs that everyone will know. From this year and years past some really creative themes like we�ve had in the past. Chart toppers and we have a movie theme night. So some of the shows have themes that really give them a great arc. All in all, it is happening during the holiday season, but it�s not necessarily a holiday-music-themed show entirely. Still, as I said earlier, it�s just such a feel-good show, it really does lend itself to the holiday season. One thing we have always had a lot of fun with is myself and the judges being involved musically, performing with some of the groups. I can neither confirm or deny that will happen, but if history is any indication, there�s a good chance you might see that. It�s safe to say that any singer does a show like The Sing-Off, or The Voice, or Idol to turn it into a career afterwards. We�ve come to realize that that exposure is pretty much not enough at this point. What do you think an artist can do after a show like this, with the exposure, to parlay it into a career? 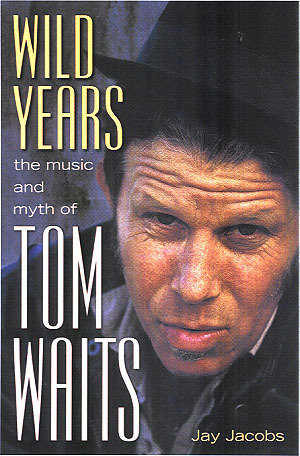 Yes, there�s certainly no guarantee for any of us in the music business anymore. (chuckles) It�s a tough, tough business. The one great thing that does come out of a situation like The Sing-Off is the exposure. You have the opportunity to perform in front of millions and millions of people. It gives you an instant platform and instant fan base. But there is a responsibility to build on that after the show is done. You�ve seen a group like Pentatonix do a great job of that. They�ve taken the baton and run with it. They won season three and now they�ve parlayed that into millions and millions of YouTube hits. As I said earlier, their album that just came out last week debuted in the top ten of the top 200 on Billboard. For an a cappella group... for any group... that�s a huge accomplishment, but specifically for a cappella music that is a huge, huge win. I give a lot of credit to those guys for first of all, their outstanding work ethic. I think no matter what you do in life you have to be willing to work hard at it. Even those of us who got signed to record deals conventionally, there�s a tendency to think: "Oh hey, we�ve made it." That�s just not the case. In 98 Degrees we knew that even back then, this is the first chapter in our journey. That�s really the beginning. You have to go from that point and continue to work as hard as you can. That�s the biggest thing. You have to have incredible work ethic, use the opportunity and the platform that a show like The Sing-Off gives you, but you also have to take the responsibility to build on that. Certainly we�ve seen Pentatonix do a great job of that. As host, how much do you get to interact with the groups? Have you been able to get to know them or do you get to mentor them at all? Do you have any specific anecdotes or favorite stories along those lines? Well one of the cool things... I should mention, we have a new production team in place on The Sing-Off this year. Mark Burnett came on board and took over the show. He just had a fresh take on what the show should be and really infused some new energy into the show. One of the things that was changed, per Mark�s request, was more interaction from both myself and the judges with the groups. You�ll see as the season progresses, all of us taking a turn and mentoring and trying to give some guidance to the groups as they go through this journey. There�s a lot of information they�re trying to process. Taking all the judges� comments and trying to apply those to the next week or the next show�s performance. It was a really cool opportunity for us. We�ve all learned the hard way a lot of times in this business, some valuable lessons. For us to be able to pass those along to these groups was a really cool opportunity. There was one group in particular that reminded me of my own past history. They come from a performing arts school in The Bay Area. So I had a soft spot in my heart for them, coming from a performing arts high school myself. I really saw a lot of myself in them. It was cool to be able to pass along a little bit of knowledge and support. These are teenagers down here in LA on the big stage with a lot of very, very talented people. To say they held their own is a gross understatement. I was very proud of them and very, very thankful to have the opportunity to give some insight to them, and all the groups. It was just a great opportunity for us to interact with them and mentor them a little bit. 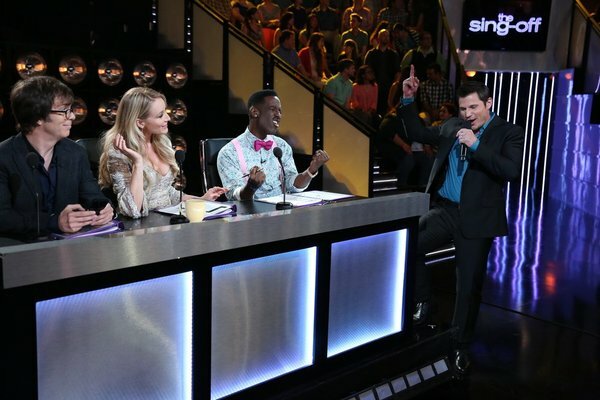 Can you talk a little bit about "The Ultimate Sing Off," which is a new twist that�s been added to the season? Yes. Again, another cool new twist that you�ll see in season four. I�ve always felt like hey: if you�re going to have a show called The Sing-Off, there should probably be a sing off. That�s something that we added this season, which was I thought a great addition to the format. Basically you have the judges score all the groups throughout the night. Your two lowest scoring groups then have to go into what we call "The Ultimate Sing Off," where they duel head-to-head, performing the same song against one another. Not only is it great entertainment, I have to tell you some of the best performances you�ll see in the season come during that ultimate sing off. It�s a really neat moment in the show. We all have moment where we don�t give our best. We kind of lay an egg on stage. It gives those groups a chance to redeem themselves for a bad performance. It doesn�t necessarily take them out of the running of the entire competition. They have a chance to come back at the end of the show and prove that they still belong. So then when the two low groups have the ultimate sing off, obviously the judges have to then decide on one of them to continue on and one of them to go home. A really cool, dramatic moment at the end of the show. Cool. Can you talk a little bit about the addition of Jewel this year? Jewel is fantastic. I�ve known Jewel previous to us doing the show together, but I thought she was a perfect fit for The Sing-Off. She�s incredibly talented, first of all. We all know that. She�s so well spoken and so relatable. What really struck me is how passionate and how caring she was about each and every group. Each and every performer in the group. She really gave her all in trying to nurture and walk them through this process. I just thought she was a fantastic addition, incredibly knowledgeable. Certainly not at all hard to look at, from my vantage point on stage. She made my night better just sitting out there. I can�t say enough wonderful things about Jewel. She was perfect for our show and we�re so happy to have her. The three judges all come from very different backgrounds. Jewel comes from folk-country. Ben is more alt. rock/pop, and Shawn is R&B. How do you think their diverse backgrounds help to find the best in your groups? Well I think their diversity is also reflected in the diversity of the groups on stage. It�s very cool and important, frankly, to have judges who come from different sensibilities and have different musical backgrounds, to your point. I think the one thing they do share in common is a love of a cappella and a real knowledge of a cappella. Even though they may come from different angles, they all have valuable insights that our groups really took to heart and tried to apply to what they were doing. Personally, I think it�s the best thing that the show could have. You'd hate to see three R&B judges up there. Or three rock. I think the diversity of the judges is really a strength of what The Sing-Off is all about. I know you�ve said that you�re not ready for baby number two yet. But if you and Vanessa decide to expand on your family, do you think you�ll be hoping for a little brother or a little sister for Camden? (laughs) I have no expectations on what baby number two will be. Nor do I have any real hope or dreams either way. I think as a father it�s cool to have a son. We already have obviously taken care of that part so, whatever comes number two, is a welcome addition to the family. Although I said it�s not going to happen any day eminently, we definitely do want more kids. So if and when that day does happen, I�m sure we will be ecstatic with a boy or a girl. It makes no difference. You mentioned mentoring the groups. What do you think is the most important piece of advice that you are able to give them or that you would give to young students in high school or college hoping to succeed in a cappella singing or just in the music industry in general. Well I think I alluded to it earlier, but it really frankly is hard work. I�ve said many times I�m not necessarily convinced that 98 Degrees was the most talented group out there, but we were certainly willing to work as hard, if not harder, than any other group out there. There really is no replacement for that. Work ethic and your desire to go the extra mile, that at times can really set you apart and give you an advantage. All the groups in our show, it�s a lot of singing in a very condensed amount of time with a lot of pressure. You�re on a national television stage and you�re singing against some of the most talented singers in the country. You really have to be on your game. You have to work hard. If you�re not willing to work hard, you�re not going to do well on the show. That�s just a fact. I think that�s really true for any walk of life, but especially in the music business. It�s a cutthroat business, now more than ever. You have to do something to set yourself apart from the competition. Oftentimes a strong work ethic and going that extra mile can be the deciding factor. You were talking about working with Mark Burnett and his team taking over. Can you talk a little bit about what that change was like just on set with the creative team? Also, now that Pentatonix has won and is debuting at the top of the charts, how is important is it to follow up their win with another group that is commercially successful in pop culture and not just the a cappella world? Yes. The first part of the question is I�ve had the opportunity to work with Mark on shows previously. The one thing Mark brings to every single thing he does is the intense passion for a project. He does not get involve with things he does not believe in. We�re just lucky that he has a passion for our show and wanted to take on our show. Each and every thing he does and every day he comes to work, he brings that passion with him. He doesn�t want anyone working on a project that doesn�t have that same passion he does, and it�s contagious. He�s determined that he�s going to have fun doing what he does every day. He�s going to bring everything he�s got. That attitude and that work environment is contagious and we all fed off of it. It was just a lot of fun. Obviously we�re here making a show and trying to make the best show we can. At the end of the day this is something we all believe in and we all love to do. That passion and that love for it should be reflected in the way we do a show and it certainly was with Mark. So I can�t say enough good things about him and his team and all the great attitude and energy they brought to the stage every time we went to tape. The second part of your question, obviously we�re incredibly proud of Pentatonix as I said. Incredibly happy to have them back on our finale this year. I think any show, it�s a real validation to the show when a group wins the title so to speak and then goes on to have commercial success. I think that really validates not only with a cappella music is about but also validates what The Sing-Off is about. So again, winning The Sing-Off is great, but the journey doesn�t end there, it really starts there. I give a lot of credit and props to Pentatonix for really seeing that as the start of their journey and for really working their tails off to make the most of the opportunity that all the exposure gave to them. I could not be more proud of them. I know them personally. I�ve seen them in concert, and I can safely say that they are the real deal. There is no weak link in that group. All the success that they�ve had and all the recognition they�ve gotten is truly deserved. So yes, I hope the best for this season as well, that our season four winners will see the same opportunity and take the baton and run with it and make the most of it. The fact that they�ve set the bar at a certain place now, did that affect the judging at all, from your perspective? No, because every season is different. I think Pentatonix were incredible in their own way. They really brought a sound to the show that we had never heard before. They pushed the edge of the envelope in ways that maybe none of us even thought was possible. Without sounding overly dramatic, they were just a really special group. That was season three; this is season four. All the groups are different and you can�t try and replicate what Pentatonix did. You have to create your own sound and bring your own definition of what a cappella means to you to the table. I think all our groups in season four really did. There wasn�t necessarily a Pentatonix-type sound but there were incredible sounds from other groups. You can�t try and be somebody else. You have to be yourself. I think that�s really important in our industry as well. All the groups in season four really did a great job of creating their own identities. I know you guys just went on tour this summer with 98 Degrees, and I�m wondering if you feel like you still have the "It" factor like you guys did back then, and why or why not? (laughs) Well, of course. You�ve got to have the "It" factor. You can�t get out there on stage and perform in front of 18,000 screaming women if you don�t feel like you�ve got the "It" factor still. So we definitely did. We made an album we were very proud of. [We] couldn�t have been more proud to be on stage each and every night with Boyz II Men and New Kids on the Block, and certainly had a great time doing it. The music business has changed quite a bit since our last time on stage, but I know we all couldn�t be more proud of what we did this year, and all the things we�ve done throughout our career. We�ve been truly blessed to have a long, long career and to have a lot of success. Nothing but great memories and great moments this year and all throughout our career. I was struck by when you were talking about the performing arts school in The Bay Area going against singers from Princeton. We�re in a time when a lot of the schools cut back on arts entirely, and particularly they don�t have the performing art schools like you were able to go to. Why is it important to have these performing arts programs in high school and why is it particularly good when some can have a performing arts high school? Well I can speak for my experience specifically. I know I would not be in this industry. I wouldn�t have had the courage to jump in my car and drive from Cincinnati, Ohio to LA to sleep on the floor and try and get a record deal. The confidence that going to a performing arts school gave to me was really the thing that was able to get me to go for it. No matter what your passion is in life, being able to pursue that passion and nurture that passion and those talents at an early age, first of all it�s a real motivating factor in wanting to go to school every day. It gives you something to really look forward to. I never wanted to miss a choir practice because I loved what I was doing. I loved the guys I was singing with. So whether it�s football, baseball, lacrosse, drama, theatre, choir; whatever it is, it�s great to be able to have a place to express yourself, especially as a teenager. Nurture those talents and those interests. I�ve been a part of Save the Music with VH1 for a long, long time. I�ve been on their board because I really believe in it. It�s important to keep those programs alive. To keep the exposure there for young people to be able to expand and creatively express themselves. It�s a really powerful thing to be able to do. It�s a shame that we�re having to fight to keep that in. The first part of your question, talking about teenagers going up against college students and even older, those kids were so talented. There�s no replacement for talent at whatever age. [I'm] really proud of them and proud of all the groups for bringing it each and every night. As I said earlier, you guys are going to see some great performances this season. I was really blown away and I know the judges were and I know America will be. #1 � 2013 Chris Haston. Courtesy of NBC/Universal. All rights reserved. #2 � 2013 Tyler Golden. Courtesy of NBC/Universal. All rights reserved. #3 � 2013 Tyler Golden. Courtesy of NBC/Universal. All rights reserved. #4 � 2013. Courtesy of NBC/Universal. All rights reserved. #5 � 2013 Tyler Golden. Courtesy of NBC/Universal. All rights reserved. #6 � 2013 Tyler Golden. Courtesy of NBC/Universal. All rights reserved.